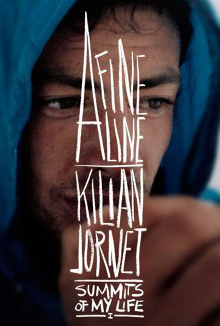 A Fine Line takes us on a breathtaking journey over the spectacular snow-covered peaks of the Alps as we join a small group of extraordinary mountain athletes in their pursuit of happiness and fulfillment. Kilian Jornet is an exceptional sportsman. At only 25, the ski mountaineering racer and ultra trail runner is already a multiple record holder and winner of numerous world titles in ski alpinism and mountain marathons. For him and others born in the mountains, the challenges and dangers of their environment are part of everyday life. The search for happiness can come at a very high price, but the pursuit of their passion remains an overwhelming motivation.